We are fortunate to live in a rugged, beautiful place. 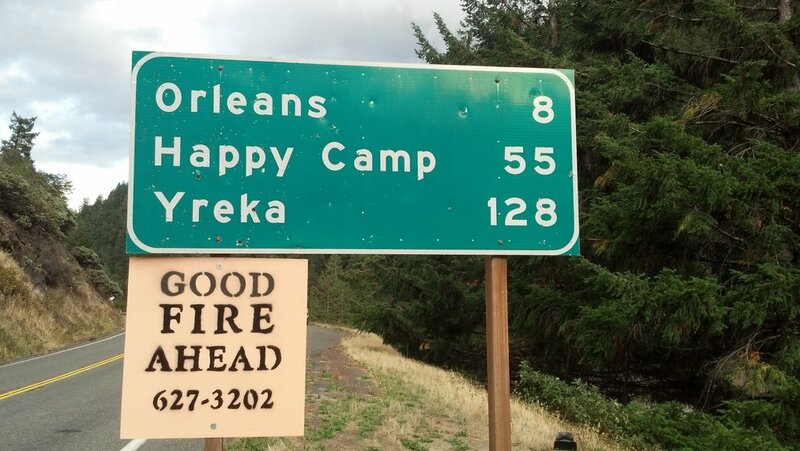 Living in this place means living with fire as it is not possible to exclude fire from the Western Klamath Mountains. WKRP is a community-based effort to create a more wildfire-resilient future, and is engaging communities to collaboratively plan and take action to safely co-exist with wildland fire. Wildfires on the edges of fire season have been suppressed, while the 3% of fires that escape initial attack in the hottest months of summer burned more than 97% of the landscape. The fire suppression paradigm maximizes the negative impacts of fire at the landscape scale and puts communities and firefighters at greater risk. For more information on the history of fire in the Klamath Mountains please visit the Fire Story page.